The influencer marketing marketplace is relatively nascent and fragmented, with many different approaches to the same challenges and opportunities. At Onalytica we have run over 200 influencer programs since 2008, so here are a few of our tips on the steps and considerations that we see as important to running a successful influencer program. Senior management or peers in different departments may not immediately get why influencer marketing is important. This is why it is important to set objectives for your influencer program that are aligned with your wider corporate or marketing objectives, as this will allow you to showcase success and ensure that influencer marketing is an essential part of future marketing campaigns. While most influencer programs are focused on boosting sales and increasing market share, others may be more focused on improving brand reputation, driving thought leadership or raising brand awareness. Identifying your key influencers is crucial to the success of your influencer program, as engaging with the wrong or sub-optimal influencers will limit the effectiveness and ROI of your program. It is very important at this stage not to confuse key decision makers (such as your prospects or customers) with your key influencers. Remember, you are not trying to sell products or services to your key influencers but rather engaging them to sell them your brand or idea so that their third-party endorsement will in turn influence your key decision makers. Read my previous post on influencer identification best practice for a more detailed run-down of how to identify and engage with your key influencers. – Who should run the program, and how many people should be involved with influencer engagement? Establish who will be managing and running the program, and factor in how your organisation’s senior management team, thought leaders and domain experts should be used as part of your influencer engagement strategy. – How should we structure workflow? Map out how you structure your workflow from identifying influencing opportunities through to choosing who will be responsible for engagement. Structuring your workflow is critical to making best use of your resources, and will allow you to scale your program to manage a much greater number of influencers. – What is it we want influencers to do? Set outcomes for your influencer engagement, such as link-sharing, key message propagation or increased conversation about your products and services. Tie these goals in with the overall objectives for your program. – What marketing content can we use to achieve this? 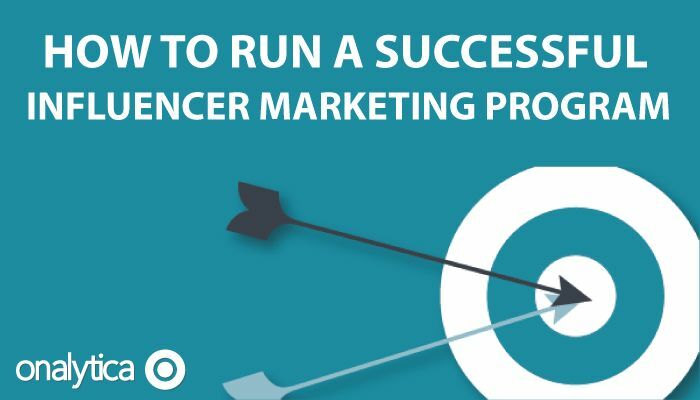 Build content marketing tactics into your influencer program strategy by ensuring you have engaging content that is relevant to your specific audience. For example, producing great story content for prime news media is likely to be very different to more factual, topic-based content for industry thought leaders or video / image content for bloggers and communities. – How long should we run this program for? It is important where possible to adopt an “always on” attitude to influencer engagement. Why? Because influencers are now a key battlefield for brands and so engaging in an ad-hoc or sporadic way may not be enough to win the hearts and minds of your influencers and you may lose market share as a result. – Are they familiar with your brand? – Are they interested in your industry or subject matter? – What is your current relationship with the influencer? – When did you last get in touch with them? – Is there somebody else in the organisation better-positioned than you to action this opportunity? – What is the best channel to engage? Which online platform should you use, or is offline better? By going through this thought process you should be able to execute the best strategy available to you within the time and resource constraints that everyone is faced with. Too often influencer programs are measured purely by an increase in social metrics. As a rule of thumb, around 15% of your influencer marketing budget should be focused on measurement & evaluation. – Has influence been exerted? – Has the sentiment or tone of conversation changed? – Have the brand or topic messages changed? – Has market share increased? As the value in influencer engagement lies in exerting change amongst networks, measure changes in your target market or audience behaviour – and not just amongst your key influencers. Measuring credible outcomes allows you to not only evaluate success but also understand which activities and influencers have really been influential and moved the needle on your outcomes. Measuring and analysing on a continuous or real-time basis also means you can easily fine tune your influencer program as you go – allowing you to focus resources on the activities yielding the greatest ROI. There are a lot of data points out there so try to integrate and correlate the measurement data of your influencer programs with other valued outcome data such as sales CRM, Google Analytics, SEO rankings, brand tracker research, social and traditional media analysis. This creates a very powerful joined up marketing approach and will ensure that your influencer marketing budget is protected and delivers a more than justifiable return. For more information about running effective influencer programmes please get in touch, or take a look at our white paper on how to scale your influencer marketing strategy.